When will the strong dollar weaken? Ultimately, the answer is whenever the Treasury wants. 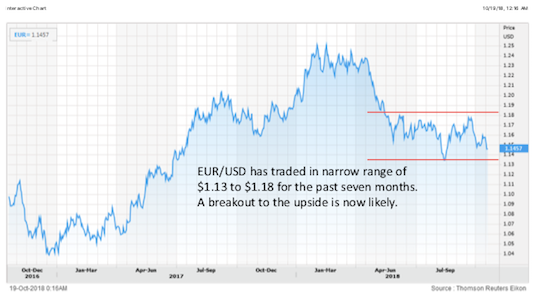 When the Treasury is not overly concerned with the dollar, market forces can prevail to raise or lower the exchange rate compared with euros, Swiss francs, yen or any other currency. Sometimes, other central banks intervene to raise or lower their currencies relative to the dollar and the U.S. does not seem to care. China is notorious for this. Japan and Switzerland are other practiced currency manipulators. The last fully coordinated currency market intervention was conducted by the G-7 in March 2011 at the time of the Fukushima, Japan, earthquake and tsunami that caused the collapse of a nuclear power plant and ultimately a crash of the Tokyo stock exchange. The Japanese economy was weakened by the natural disaster. A weaker yen would have helped the economy with cheaper exports and more inflation. But insurance companies had to sell dollar-denominated assets and buy yen in order to pay yen-denominated claims for the disaster losses. The result was a stronger yen. The G-7 intervention, organized by then French Finance Minister Christine Lagarde, successfully sold yen and bought euros, dollars and sterling to weaken the yen despite insurance companies buying it. Lagarde’s success in this intervention was instrumental in her elevation to head of the IMF shortly thereafter. In short, except in extraordinary circumstances, the U.S. Treasury does not directly intervene in currency markets to target U.S. dollar exchange rates. If such targeting is needed, the Treasury will work with the Fed to raise interest rates or take a pause in rate hikes to affect the dollar’s value. All of this may be about to change. 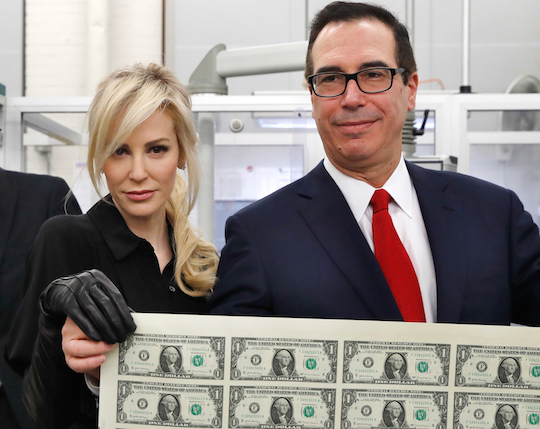 Both President Trump and Treasury Secretary Mnuchin have publicly expressed dismay at the dollar’s persistent strength in the second half of 2018. A strong dollar has adverse effects relative to Trump’s economic plans. It makes imports less expensive, which has a deflationary impact on the U.S. domestic economy. This is at a time when both the Fed and the White House would like to see more inflation. A strong dollar also hurts U.S. exports from major companies such as Boeing and GE. That hurts U.S. competitiveness and U.S. jobs. Finally, a strong dollar hurts corporate profits of U.S. global companies because their overseas profits are translated back into fewer U.S. dollars. This is a head wind to U.S. stock market performance. While the White House and Fed may be united in their desire to see a weaker dollar and more inflation, the Fed is doing nothing to achieve that. The Fed has been on a path of raising interest rates for almost three years, beginning with the “liftoff” rate hike in December 2015. Since October 2017, the Fed has also been tightening money supply by not reinvesting in Treasury securities when existing securities in their portfolio mature. This “quantitative tightening,” or QT, is the opposite of quantitative easing, QE. The combination of rate hikes and QT has caused a significant increase in U.S. interest rates in all maturities and, in turn, a stronger dollar as capital flows to the U.S. in search of higher yields. The result is a persistent strong dollar. This means that if the White House and Treasury want a weaker dollar, they may have to achieve it on their own with no help from the Fed. The Treasury is well-equipped to do this kind of intervention by using their Exchange Stabilization Fund, or ESF. The ESF was created under the Gold Reserve Act of 1934, which provided legal ratification for FDR’s confiscation of private gold from U.S. citizens in 1933. FDR paid $20.67 in paper money for the gold in 1933, knowing he intended to raise the price of gold. His plan was to capture the “gold profits” for the government instead of allowing citizens to realize the profits. Those profits were the original source of funding for the ESF. Importantly, the ESF exists completely outside of congressional control or oversight. It is tantamount to a Treasury slush fund that the Treasury can use as it sees fit to intervene in foreign exchange markets. No legislation or congressional appropriation is required. Former Treasury Secretary Bob Rubin used the ESF to bail out Mexico in 1994 after Congress had refused to provide bailout money through other channels. Today, the ESF has net assets of about $40 billion. The gross assets include about $50 billion in SDRs, but the Treasury can issue SDR certificates to the Fed in exchange for dollars if needed to conduct currency market operations. You can find the ESF financial statements here. On paper, that’s true. But in reality, China is “short” U.S. dollars. The Chinese may have $1.4 trillion of U.S. Treasury securities in its reserve position, but they need those assets possibly to bail out their banking system or defend the yuan. Meanwhile, the Chinese banking sector, which in many ways is an extension of the state, owes $318 billion in U.S. dollar-denominated deposits of commercial paper. From a bank’s perspective, borrowing in dollars is going short dollars because you need dollar assets to back up those liabilities if the original lenders want their money back. For the most part, the banks don’t have those assets because they converted the dollar to yuan to prop up local real estate Ponzis and local corporations. There’s not much left over to bail out the corporate, individual and real estate sectors. Find out what central bankers and politicians plan to do after the next financial crash. 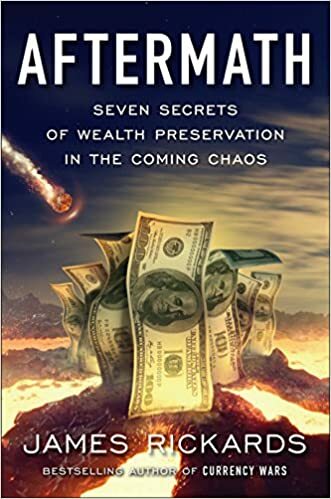 Jim Rickards, author of “The Road to Ruin,” joins Robert and Kim and offers a clear-eyed view of how the next collapse will unfold and what you can do to preserve your wealth. 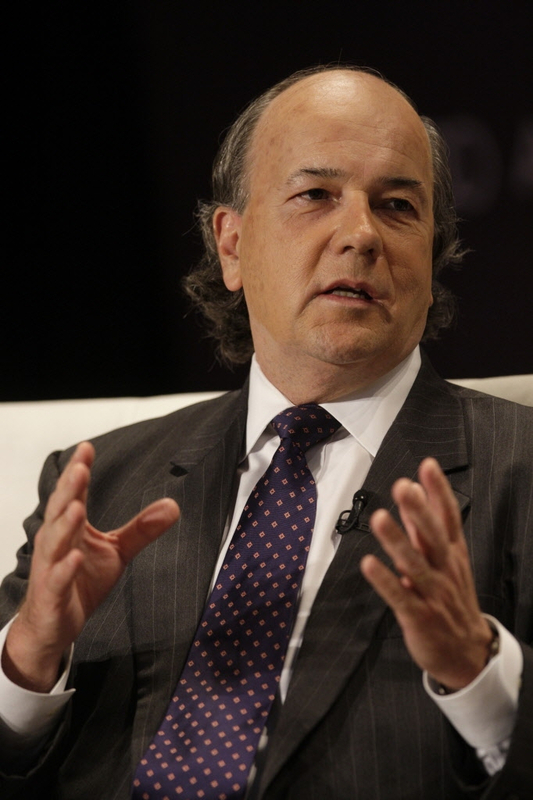 Rickards has worked inside Wall St. and consulted at the highest levels of government. 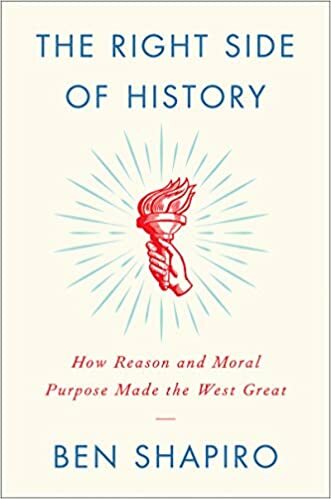 His insights are illuminating and rooted in social science and economic history. *Game Theory on Future Monetary System Based On A Sovereign Issued Crypto Currency: Permissioned Distributed Ledger sponsored by China / Russia / IMF, Digital Coin tied to the SDR for measure of value, net of payments settled in Physical Gold. Economist, investment banker, and author James Rickards discusses interest rates, the stock market, the US economy, precious metals, the risk of financial calamity, the future of the Fed and much more. James Rickards: Are We In Another Slow Motion Meltdown? The biggest thing that I’m concerned about, and that I watch very closely, is the debt-to-GDP ratio. 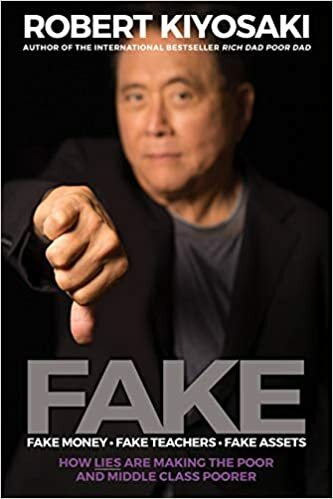 The Keynesian view is that if the economy isn’t growing fast enough, you’re in a liquidity trap and the private economy won’t spend, the government should spend and there’s your liquidity. From there, you’ll get some growth. Keynesians have this idea that the more money you borrow, the better, because if the government borrows money they spend it. And when they spend it, they put it in your pocket or my pocket and that’s the money that stimulates the economy. That’s true right up until the point where everybody changes their mind. The one thing that central bankers do not understand is the importance of confidence. Confidence can be lost and when that happens things can change overnight.